We are digital marketing experts who architect, engineer and build high converting sales funnels and offers to produce leads and sales for our business, our clients businesses and possibly we’ll get the opportunity to help you with yours too! Beyond setting up your sales funnels, we help generate leads with traffic from Facebook, Instagram, YouTube & Google (just to name a few). That traffic goes toward targeting your perfect audience and customers through the process of discovering you, your products, your services and your brand online. We are the core team behind Perfect Funnel System and all of the brands that we represent. When you call in or request a quote or we connect on Live Chat you’ll talk to one of us. When you have a strategy session, you’ll have one of us because we know the ins and the outs of architecting and building sales funnels that convert. We’ve been marketing online full time since 2006 and over $50 million has been generated through the leads, sales and new business that we’ve generated for our clients and ourselves. Meet some of our team of digital marketing experts who are at your service to help you launch the funnel or business you’ve been wanting. This is our core team who will be serving you, if you decide to choose us to build your funnels and take your business to market online or take your existing business to the next level. Introducing Bryan Dulaney, the CEO & Founder of Perfect Funnel System. Bryan started his online career back in 2006 while attending Liberty University. It was there that his eyes were opened to the power of online marketing and lead generation. A huge key to his success was finding a mentor who was earning over $100,000 a month online and following in his footsteps. Within short order, Bryan began to capture leads and convert those leads into buyers and went onto generating over $10,000 in less than 5 days. That’s when the world of internet marketing and digital marketing became real for Bryan and he left Liberty University to focus FULL TIME on building his business. The one that we know and love today. Bryan had just recently launched a webinar and information product in the personal development space that went onto generating over $150,000 in less than 90 days and the inspiration that night in Hawaii was to teach others how to use webinars to create the life they desire and make a lot of money in the process while helping people too. “That’s true freedom”, says Bryan. Over that year, the Perfect Funnel System transformed and became the system for any company to capture leads, convert sales and create raving fans. Not just using webinars, but by having a system and process anyone and any business can use. In 2013, Bryan then went onto helping a vacation company who was generating $1.5 million a year before Bryan came in and they went onto becoming a $5.3 million a year vacation company in less than 6 months. Bryan has the unique ability to architect funnels and user experience online that convert leads into buyers and buyers into raving fans. Since Bryan started his online marketing career he has helped his clients, partners and himself generate over $50 million online using the power of the Perfect Funnel System. Bryan is also passionate about helping entrepreneurs “automate a life worth living” which is his personal mission to help 1 million entrepreneurs to be in a position where their business works for them rather than them working for their business and enslaved to it. Request a free quote and strategy session today to see how the Perfect Funnel System can be put to work for your business so you can free up your time and start enjoying more of the life you’ve dreamed of when you first started your business. Meet Stephanie Dively, Chief Operating Officer & Bryan’s Right Hand Woman! Introducing Stephanie, our Chief Operating Officer! Stephanie is a true multi-potentialist who has successfully owned, invested, coached, and sold businesses since 2004. Coming from a family made entirely of creative entrepreneurs, business and strategy is basically in Stephanie’s DNA. Stephanie began her journey into the entrepreneurial world at the young age of 12 when she successfully trademarked and sold her first beauty product with her mother and sister. As a former WVU Graduate, Stephanie proved her exceptional analytical, research, and writing skills by double majoring in Philosophy-Pre Law and MDS-Entrepreneurship, then went on to receive her MBA in Marketing. While in college, Stephanie discovered her intense execution and organizational skills by juggling 5 jobs: PR for Alpha Xi Delta (her sorority), Real Estate, Non-Profit work, and 2 Service industry jobs while simultaneously running her beauty business. Upon graduating, Stephanie immediately began her 8 year sales career with a well known Fortune 100 company. During this time, Stephanie discovered her outstanding skills in Database Management, Training, and Systems, and was among the highest paid, top producers in High Ticket Sales while she simultaneously owned, invested, and sold in two top ranked health & fitness industry businesses in Southern California. Today, Stephanie brings her expertise to her team and works closely with Bryan to continually search for and serve Experts who are purpose driven entrepreneurs in need of the right online marketing system that can take their business to the next level! In other words, we are a premium online digital marketing agency with the purpose of helping you save time, money, and sanity. However, before we go into this online digital marketing journey with you, let’s first be 100% sure we have the right map! I invite you to schedule a FREE one-on-one call with Stephanie to see how we can bring clarity, expert strategy, and massive value to you! Introducing Michael Dulaney, our Chief Advertising Officer! Michael started his advertising career with Bryan when they were tasked to take a vacation company to the next level in 2012. In addition to helping scale a vacation company with ads, Michael is responsible for helping to launch Jeremy Miner from ZERO to $7 figures while managing all of the traffic that we ran through Facebook Ads, YouTube Ads and other traffic sources. Michael helped build the company a massive social media presence, an email list over 120,000 prospects and over 7 figures in income in less than 12 months working closely with Bryan. Michael has also built many other fan pages including one he took from scratch, brand new to currently over 2.7 million fans in just a few years and has reached over 3 Billion people. Mike has been working for over 30+ years effectively bringing buyers and sellers together in the most efficient way. He delivers qualified buyers to his clients and is passionate about customer service for both his clients and those that will purchase products or services from them. In his words “Customer Service is KING and Second to NONE”, has been the benchmark of his success in all his business dealings. His areas of expertise include sales & marketing; planning, organizing and managing events, trade shows and executive meetings; managing trade show and conference logistics, creating marketing plans to attract attendees and exhibitors to the trade show, overseeing design and production of collateral and promotional materials, and developing sponsorship opportunities. He has experience in all aspects of event management from beginning to end. He worked as Operations Manager, Sales & Marketing Manager, and Trade Show Manager. He is a visionary when it comes to creating new events within the event to help his clients increase their success at the trade shows he produced for over 20 years. Prior to the internet, he developed a bulletin board service which essentially was the internet before the internet, with 20 phone lines coming into his office mainframe for customers of his clients to review their products and services. In the first 5 years of working at C.S. Report, Inc., producer of the D/C Expo, he increased revenue from $300,000 to $3 MILLION by adding events that increased success for his clients. As your account Manager he will not rest until your success is assured. David Started his career as a Wildlife Biologist after receiving his Masters of Science in Wildlife Biology for East Stroudsburg University in 2001. David started his Wildlife and Environmental consulting firm in 2002 and within a few years it was a multi-million dollar business. Then at 8:03 am Sunday, Oct 4th 2009 David broke his 4th metacarpal in his right hand in multiple locations. He was using a hand drill and drilling a hole in the frame of his service truck when the bit of the drill caught and then he heard the popping of the bones snapping in his hand. Even though it was the most pain he has ever been in, it was the best day of his life as it allowed him to invent a lifting device the allowed the user to eliminated the hands from working out. The product was called the Isolator (for it allowing you to isolate muscle groups). This then transformed into his next business Isolator Fitness. Isolator Fitness quickly grew into a Multi-million dollar company in just a few short years. David contributes this to the wisdom he gained through the first business and surrounding himself with great mentors and team members. At Isolator David help lead his amazing team in having one of the worlds most automated sewing facility’s, and be the unique company that everything is done in house, to include manufacturing, screen printing, tool and die work, digital marketing, Facebook and google ads. David is continues to try to master all facets of his business and still continues to learn from the world greatest marketers, Russell Brunson, Bryan Dulaney, Ezra Firestone, Ryan Diess, and Perry Belcher. In 2017 David wanted to start giving back and provide consulting, training and done for you projects based on his success by generating over $25 million dollars in revenue from his own companies and that is when he partnered with Bryan Dulaney and the Perfect Funnel System. David is one of a kind and when you spend any time with him you can feel his presence and see his passion for everyone creating success. David is our Ecommerce Partner who helps all of our ecommerce clients and partners who need help building and launching their Ecommerce Stores. When it comes to Ecommerce, David is the ONLY one I trust to build us and our clients a store that is highly optimized and produces the kind of results that we need. David is also the ONLY one that Ezra Firestone refers business to when it comes to ecommerce development on his platform Zipify. Tracy has been helping businesses grow and succeed for more than 5 years. As a former 7 year US Navy Veteran, Tracy began implementing Funnel solutions for clients starting at the age of 25. 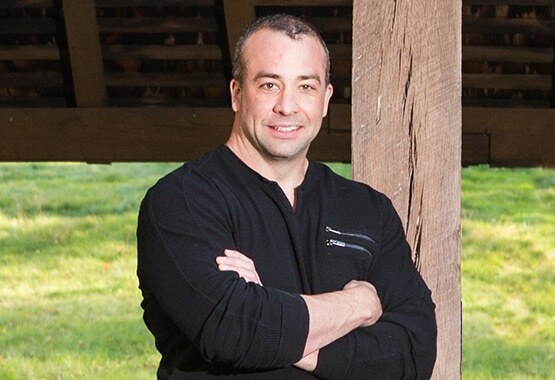 Following a career in The US Military, Tracy spent the next few years founding and starting his own successful companies. Along his journey of entrepreneurship he has developed and helped many others successfully turn around there failing businesses with marketing strategies proven to work. As Tracy was growing and developing his skills he took a position with a 3 Billion dollar advertising agency to master his skill-sets and education in the ever-changing digital marketing realm. Through his career as a Top Digital Strategist he helped countless businesses implement highly effective marketing strategies, and funnels to bring their life and business to the next level. Tracy is a graduate of Anthony Robbins Mastery University and he is very passionate about personal growth and development. Tracy believes if your not growing your dying. While attending many events through the years and networking in general he identified a lot of challenges entrepreneurs were facing on a daily basis. Tracy saw a need in the marketplace to help entrepreneurs with the things that hold them back the most – implementing the proper sales funnel and systems needed for the owner to focus on their true passion, and not the things that they are not good at. I invite you to schedule a FREE personal one-on-one call to see how we can bring success to your business with the right type of funnels working for you 24/7! … and there are even others who are behind the scenes! Our team of digital marketing experts and certified by results (not just some random certification someone made up) and we have been building sales funnels to capture leads, convert sales and create raving fans since 2006 when Bryan first started his online marketing career. * Since then our campaigns and funnels have produced well over $50 million in revenue for our clients, partners and our own companies. We are more than certified to do the job and help you create, design and launch the business of your dreams.